Right now there are approximately 11 million Canadians suffering from Diabetes or Prediabetes, and a new diagnosis is made every 3 minutes. Diabetes is a leading cause of stroke, heart attack, kidney failure, blindness, and lower limb amputation; it places a huge burden on Canada’s healthcare system and is estimated to cost $15.9 billion per year in direct and indirect costs by 2020. 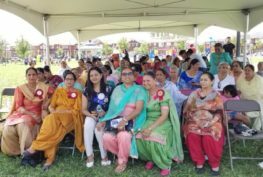 MP Sonia Sidhu has been a parliamentary leader in the fight against diabetes since her election in 2015. 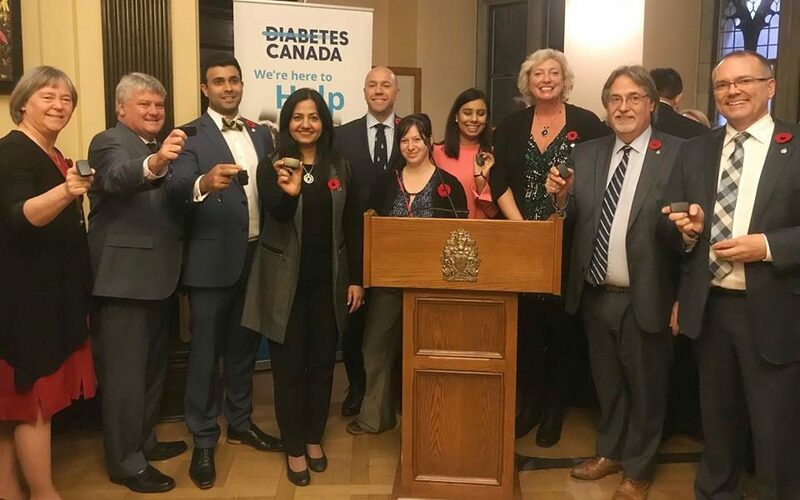 MP Sidhu is the Chair of the All Party Diabetes Caucus and a key member of the Standing Committee on Health who have recently begun a study on Diabetes Strategies in Canada and Abroad. MP Sidhu moved Motion M-118 in the House of Commons on February 6, 2017 which called on the Standing Committee on Health to study diabetes and prediabetes, the motion later received unanimous consent in the Standing Committee on Health and the committee’s study began on May 23rd, 2018. On May 24th, 2018 MP Sidhu presented Bill C-403: The Diabetes Awareness Month Act, to her fellow parliamentarians in the House of Commons. November is recognized as diabetes awareness month by diabetes advocacy organizations such as JDRF and Diabetes Canada as well as the International Diabetes Federation and the Centre for Disease Control. November 14 is recognized by the international community as World Diabetes Day, falling within diabetes awareness month. On May 3, 2018 MP Sonia Sidhu, as the Chair of the All-Party Diabetes Caucus on behalf on the Minister of Health, announced $7.7 million of funding towards type 1 diabetes research in partnership with JDRF. The funding will go toward the research efforts of 3 Canadian scientists: Dr. Remi Rabasa-Lhoret from L’Institut de recherches cliniques du Montreal, Dr. Farid Mahmud from the Hospital for Sick Children in Toronto, and Dr. Gillian Booth from St. Michael’s Hospital in Toronto.